Structural Waterproofing Design including Cellar Conversion, Tanking & Advising on Below Ground Properties Under Construction in Cornwall and West Devon. Structural Waterproofing also known as tanking, is the term used to describe the treatment of walls to prevent penetrating damp usually where the walls are below adjacent ground levels but can also refer to the treatment of walls which are permeable to weather penetration. Be capable of devising solutions that accommodate the various project constraints and needs. On larger projects where a design team is involved the Specialist should provide the design team with information and guidance that assists with and influences the design, installation and future maintenance of the waterproofed structure. Of all the services we offer Structural Waterproofing is where proper site assessment, and the development of a fully detailed solution are essential. Mistakes made in this field are very disruptive and usually very costly to rectify. The design requirements and Waterproofing techniques for such works are defined in BS8102:2009, the British Standard for “Protection of structures against water from the ground”. The Standard recommends that a “Specialist in Waterproofing” carried out the design, or in larger projects, is included in the design team for any structure where usable space is fully or partly below the ground level. 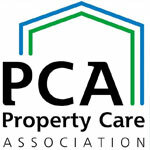 In response to this the Property Care Association has vetted and approved Waterproofing Design Specialists and produced “The Register of Waterproofing Design Specialists”, to allow Clients, including qualified- developers, architects, builders and private individuals, to quickly locate individual practitioners who can carry out, or assist with, the design and planning of underground waterproofing as recommended in BS8102.